Students of the TCC vITA classes are always asking for information on, or help with, setting up an affordable home lab so they can practice the course labs. Setting up a home lab environment is also important for getting the hands-on experience needed when preparing for the VCP or VCAP-DCA exams. 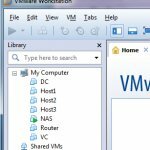 One of the easiest ways to set up a vSphere home lab environment is to use AutoLab running in VMware Workstation. I am working on a series of videos covering the set up and use of the AutoLab environment. In this first video I provide an overview of the PC I am using to run my VMware Workstation AutoLab environment, how to obtain AutoLab from labguides.com, explain how to configure VMware Workstation for AutoLab, and how to power on and access the build share on the AutoLab NAS VM. 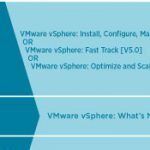 If you are a student and you need a copy of VMware Workstation you can get an Academic discount version of VMware Workstation or VMware Fusion here! The next video in the series will cover collecting the software required and setting up the AutoLab build share on the NAS VM. Been following your videos, nice and clear. Only difference being is I am using Fusion, which I am beginning to loathe. As I am redoing my labs, trying to decide if AutoLab is the way to go (ignoring quick deployment) or starting from scratch. Another consideration is, If I setup a second lab in another location, to replicate SITE A/SITE B relationships, both using AutoLab, this isn’t going to work sadly, due to both configs being the same, do you have any thoughts on this? Thanks very much for taking your time to do all the four videos. Thanks for stopping by and glad you are getting some value from the AutoLab videos. How you set up your lab really depends on what you are using it for. AutoLab is great resource if you are studying for the VCP or VCAP-DCA certifications. It is easy, quick to set up, and includes everything you need. Yes there are some limitations but you can accomplish nearly everything (if not everything) required on the VCP/VCAP-DCA Exam Blueprints. I have used the AutoLab environment to set up a simulation of a multi-site lab (all running on a single ESXi whitebox server) to work with SRM. You can find some more information on that here http://www.vhersey.com/2012/12/home-lab-srm-part-1-environment-setup/. This environment was used for a vBrownBag Demo of SRM so you can see it in action here: http://www.vhersey.com/2013/01/vbrownbag-vmware-site-recovery-manager-srm-demo/. I used the shell VMs in AutoLab and the DC setup to provide AD. I adjusted the rest as needed to create the two sites (manual builds of the VC and hosts). Using the AD infrastructure and NAS provided by AutoLab can save you a ton of time setting things up, even if you manually create your vCenter and hosts. Thanks again for stopping by and leaving a comment. I’ll have a look and report. I’m having issues building it on Fusion, on the DC stage of the build when you verify everything is ok, it finds issues with some of the elements. If it becomes an issue, I will do this via bootcamp on Workstation 10. I’ll have a look at the SRM videos and report back. Will be good to have something similar. I was hoping to link this lab with a friend of mine back in the UK, so we can test different things out. But not sure that will be possible, instead of having the whole scenario on the single whitebox. Using a Mac Mini 16GB with 256 SSD, should be fine for now. The SSD really helps. Hope you are ok and looking forward to your next video. Is it smart enough to realise that the version revision numbers are different? Did you extract the contents of the isos and place them in the proper folders on the build share? 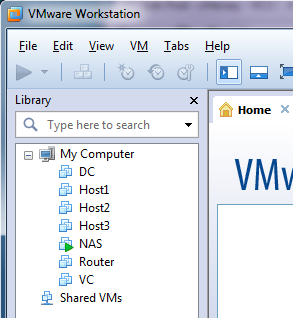 Remember you are not putting the ESXi/vCenter isos on the build share but the contents of these isos in the folders. Well, it appears OS X can extract the contents of the ISO, but yes, I had done it both ways. Not sure what the issue is, but the lab is running so far. Maybe I will rebuild my mac with Windows and use Workstation instead, as I prefer it anyway. 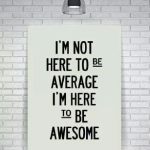 Good stuff, sorry I am not able to offer more assistance. I am not that familiar with Fusion or Mac but I do know it should work. Might be worth a search of or a post in the Lab Guides forums. Would like to hear about if you get it worked out and what the fix might be in case others run into a similar issue. do i create a vm and attached the vmdk files?